Each September, one visionary student of optometry or ophthalmology is awarded $2500 as the recipient of the John Mark Patterson Memorial Scholarship. Orion Vision Group is proud to honor his life of passion and innovation, by extending encouragement to an exceptional scholar on a path to break ground in our industry. 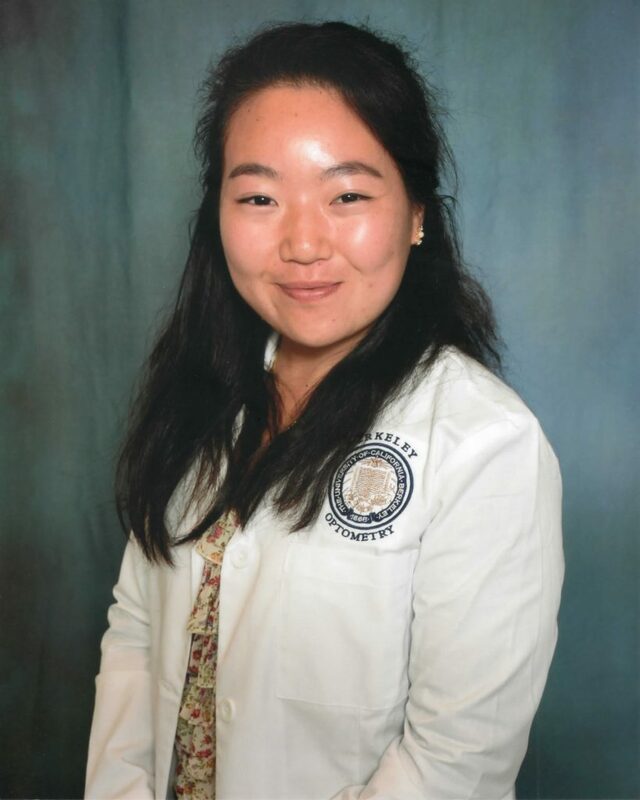 We are pleased to introduce Miss Cynthia Huang, an optometry student at UC Berkeley, as the first winner of our new annual scholarship. 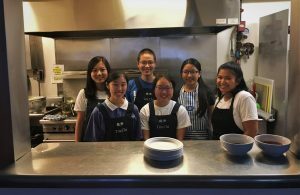 Miss Huang submitted an essay of inspiring dimensions — a remarkable standout from an accomplished group of applicants. Q: What was it that first made you think of working at an Optometry clinic? A: I had spent the first half of my undergraduate studies thinking I wanted to be a research scientist. However, after 2 tough experiences in a civil engineering lab and then in a nanotechnology lab, I realized that I did not quite have the passion to continue learning in either of these fields enough to make my research there worthwhile. At the end of my 2nd research experience, I happened to run out of contact lenses during the school year and needed to visit a local optometrist. I had always enjoyed seeing the one at home but did not realize I was actually loving the profession. This new doctor shared my desire to raise a family and wanted a job that allowed her to support them both physically and financially. She also told me how clean her job was, and how she really enjoyed meeting new people and then getting to care for them for perhaps decades. With summer break approaching, I decided to contact my optometrist at home and ask if I could help around her office for a few weeks. That was when I realized that this was a profession I would really like to pursue, as I saw how happy both doctors were both with their personal and their professional lives. I felt that I would love the challenge of making sure my patients felt comfortable and well-informed while caring for vision, a sense that I have always felt was precious. Q: If you could create your own proverb about the eyes, and frame it for your office — what would it be, and what would it mean to you to have it there? A: Having worked with patients who don’t have the clearest vision but still have great experiences, a proverb I’d like to have in my office is, “See through experiences.” As an optometrist, while my goal is to give my patients their clearest vision possible, for those who have irreversible vision defects, my goal is instead to allow them to stay as independent as possible and continue experiencing life. I don’t think optometrists can only focus on the physical act of seeing when patients “see” the world around them in many different ways. I would keep this proverb here to remind myself that patients can see the world around them in their own way and to encourage patients to not just rely on their eyes to experience the world. Q: From your training thus far, which area of optometric disease needs new technological advances the most? A: I believe it is presbyopia. For an issue that every single human will eventually face, I wish that the lenses we are able to implant could be improved. At the same time, what constitutes clear optics? Being aberration-free? The ability to focus at ease no matter the distance? There are so many mechanisms the eye uses to focus on objects, it would take much more understanding of how the lens works and performs to create an artificial lens that mimics natural ones. Q: You mention in your essay how quick children are to catch on to things. How would you turn that experience into educational opportunities for your own tender-age patients? A: Myopia is best fixed early on, and lots of research has been done about how sunlight can help to slow the progression of myopia. Using this opportunity,, I feel that children can quickly learn how to stay active outdoors and learn about what foods are great for their vision as well. This can help them learn healthy lifestyles early on so that it does not feel as daunting later on in life. Q: One of your professors taught you that children could decrease their amblyopia by using video games with mirrors to retrain the circuits to the brain to better communicate (for their amblyopic eye). Are results less remarkable with adults, and if so, why or why not? A: Amblyopia develops early on during a child’s “sensitive period,” so it was believed that if treatment was not done during the early years it wouldn’t be as effective to treat. While this is true for some treatments like patching — Dr. Dennis M. Levi, my professor, has found that video games are a fun and effective way to treat amblyopia in both adults and children. His paper, “Improving Adult Amblyopic Vision with Stereoscopic 3D Video Games” showed that video games helped adults with amblyopia, and was an engaging and non-intrusive way to do so. 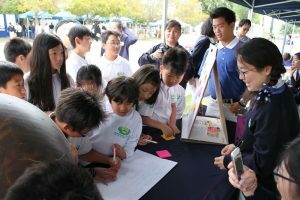 Q: Your shared thoughts about the philanthropic organization of Tzu Chi — and what it has meant to your life — was quite inspirational. Especially the part about learning that those who need help want your respect, and to know that you care enough to communicate comfortably with them. What has this taught you about treating patients in your own practice location someday? A: Shadowing other optometrists, their biggest tip for me was to learn how to communicate clearly and adapt as needed based on with whom I was talking. Tzu Chi, however, taught me that being clear does not mean being condescending. It also taught me how to notice small things; like how an elder patient might need to sit sooner than a younger patient when waiting; or perhaps that some tough facades are a mechanism of protection which can be patiently released with respect. My experience taught me a lot about how to think and observe, something that you cannot learn in textbooks and must experience personally. Q: How would you introduce a patient in need of help to your Tzu Chi organization, while explaining the kind of help they might expect to receive? A: Tzu Chi provides dental, vision, physical, and acupuncture services at all major medical outreach events. Following suit, patients also receive nutrition tips on how to live a healthy, vegetarian lifestyle, as well as sustainability tips on how to live a greener life. Patients are allowed to choose 3 out of the 4 health services provided. Meanwhile, other booths offer learning experiences about other aspects of improvement. These events tend to be held at school gyms or open auditoriums, so they may seem loud and daunting at first. However, I would ensure patients that Tzu Chi will do its best to make you feel like you are getting a personalized and trustworthy experience. Q: What topics of collateral (whether videos watched in your office or brochures to leave with) do you feel would be most valuable for your patients? A: I personally think that having tips and explanations on a clinic’s website is the best way to educate patients, as they can continuously refer back to it. Furthermore, people looking up symptoms might end up on my website and learn more about my clinic that way. I personally also appreciate brochures, as I still look to them when I first try a product and want to learn more about its relevant benefits or application procedures. Q: Tell us a little about your most inspirational mentor and the changes they made in your life and future career path. A: My most inspirational mentor to this day is still my dad, even though he was actually originally unsupportive of my dreams of becoming an optometrist. This, however, stems from the fact that in Taiwan, this position does not exist. The roles of the ophthalmologist and the optician have fully engulfed the role of an optometrist, and as such, my dad could not understand what my job would be. It is because of him that I always push myself to try harder and to fully comprehend, not just try to remember. As an engineer, his way of thinking is highly methodical and shortcut-driven. This teaches me how to stay on my feet and to constantly think before acting. He motivates me to try my best, and for that, I am grateful for the opportunities he has helped me strive for. The John Mark Patterson Memorial Scholarship is awarded annually by the Orion Vision Group. Applications will be accepted through June 30th each year for that fall semester. You may submit your application and essay on our website, and view the topics, instructions, requirements, terms, and conditions there as well. If you are aware of a deserving scholar, please encourage them to apply!